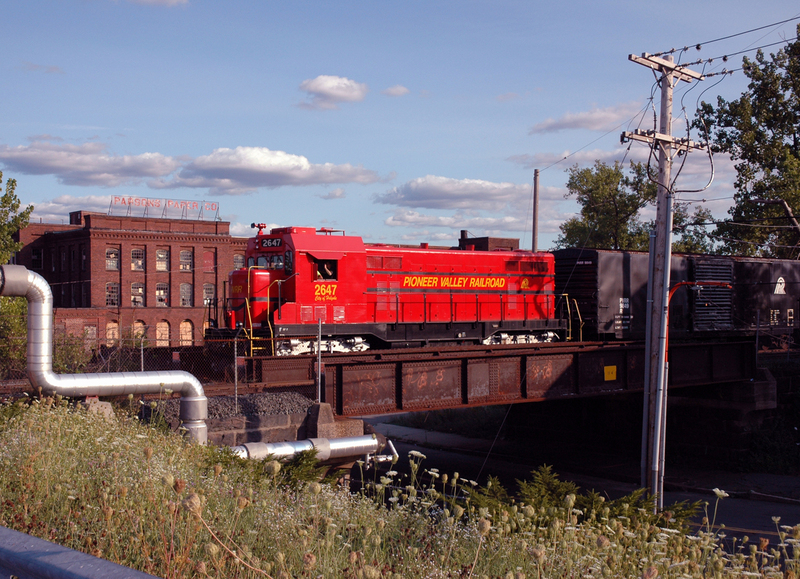 PVRR 2647 leads the 25th Anniversary train back in the summer of 2007 across Sargeant St. in Holyoke. This was probably the first passenger train on the Holyoke Branch in at least ten years at that point. Photographed by Charles England, August 14, 2007. Added to the photo archive by Charles England, July 9, 2016.